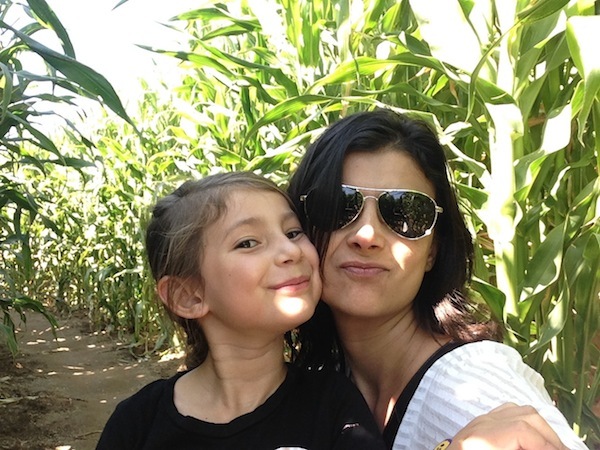 We didn’t have to travel too far last weekend to find a farm in the Valley that hosts one of the most fun fall harvest adventures: a huge corn maze! Forneris Farms is not only well known for its fabulous and huge pumpkins, but also because every year they carve out a wild corn field of over 4 acres of twists and turns that takes close to an hour to get through. After checking out the corn maze online, we decided we had to go walk through it. Menos mal that my husband can actually read a map because I would have had to call someone to get us out of there. To motivate you to walk through it all, they have set up along the way ten “cornundrums” or silly riddles that you must figure out the answer for. If you find ten, you can enter to win a prize. Looking for these cornundrums kept Camila super motivated and she beamed every time she would figure one out. Very good post post. Continue writing. blog posts. Anyway I’ll be subscribing in your augment and even I achievement you get right of entry to persistently fast. I am now not sure the place you’re getting your information, however great topic. I must spend a while learning much more or working out more. Thanks for excellent information I used to be looking for this info for my mission. book-marked to see new things in your blog.